Balinese souvenirs, as a sign that you have been to Bali..
Bali is a hit vacation spot in the world. Many interesting places can be visited here, such as beaches, temples, waterfalls, mountains, and many tourist attractions that offer a variety of challenging activities. There is no word of being bored on vacation in this special place, because Bali is truly beautiful. Vacationing here you can forget the time and it feels like your vacation is taking a while. Not only the exotic places that Bali has to offer, Bali is also a place to shop, especially Balinese items. This island is also famous for its people who have high effectiveness that produce goods with amazing artistic value. And usually tourists make souvenirs to take home to their country. What are the items that are usually made as souvenirs? Next we summarize it. 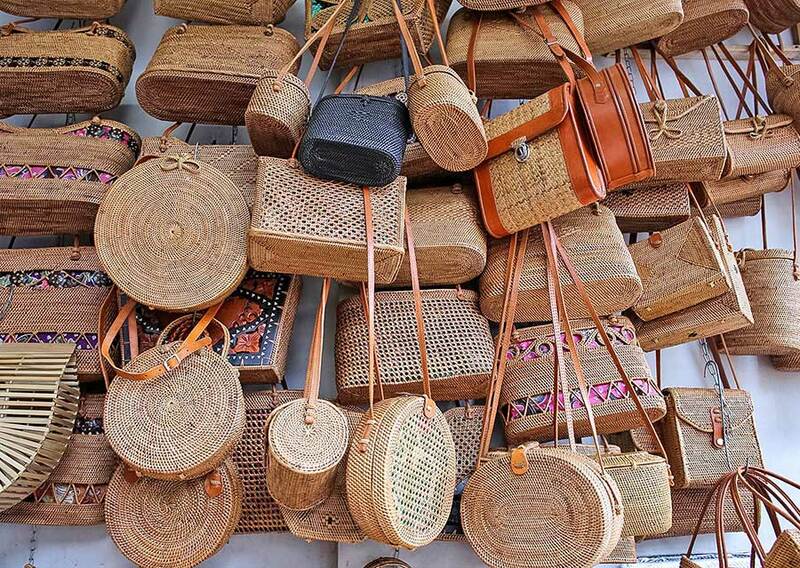 Woven bags from rattan are very simple, but very viral. This round bag is made of handmade rattan woven from Bali, which is currently becoming a trend. This rattan woven bag is now also modified with various forms and knick-knacks. 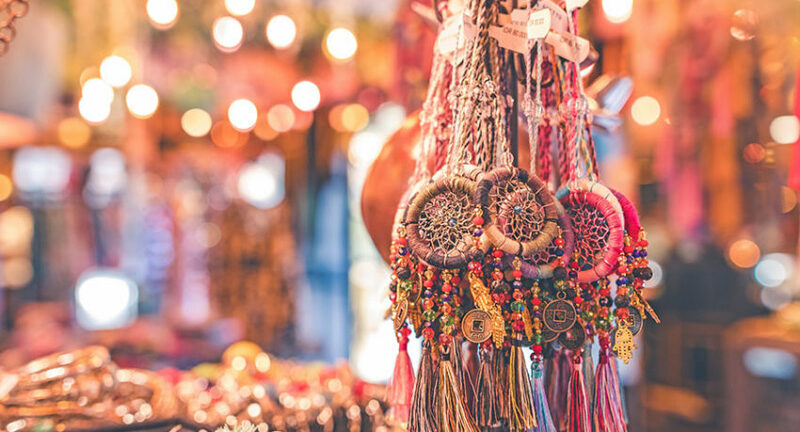 In addition to some Balinese souvenir shops, you can find in traditional markets such as in Sukawati, here you can do bargain price. 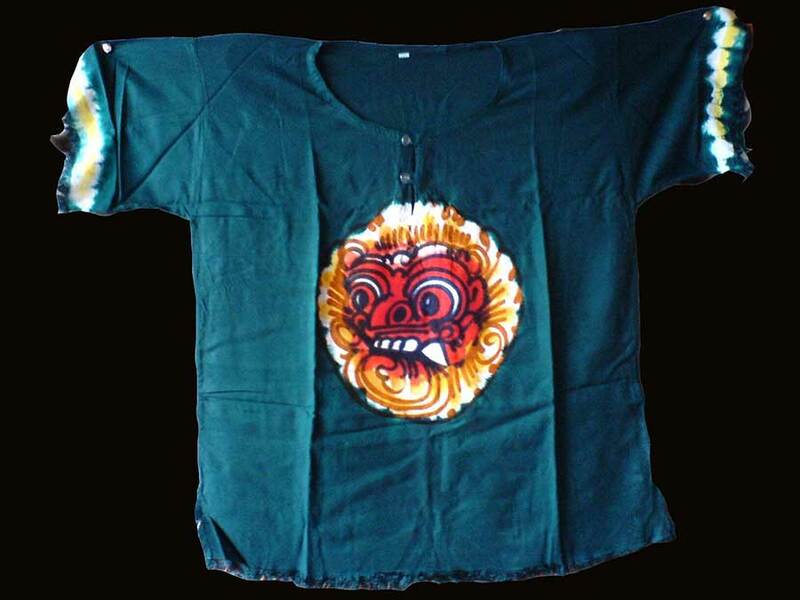 Barong shirt only shows typical Balinese figures, namely Barong. And for the colors there are also various kinds. Barong clothes are produced from toddlers to adults. The material is different, ranging from very thin to quite thick. Batik is a technique of wax-resist dyeing applied to whole cloth, or cloth made using this technique originated from Indonesia. It is made either by drawing dots and lines of the resist with a spouted tool called a canting, or by printing the resist with a copper stamp called a cap. Like other regions in Indonesia, Bali also has its own regional batik. 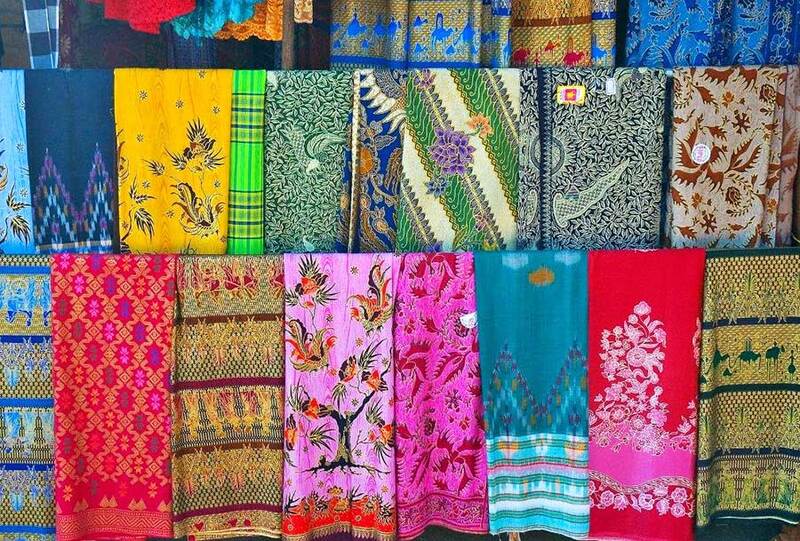 Sarong Bali does have a very distinctive motif, ranging from flowers to colorful abstract motifs. This cloth is also called beach sarong. Maybe it’s because it’s sold on many beaches in Bali. You can also make cute bracelets for easy souvenirs. There are also many who sell these souvenirs. If your budget is low, buy it in stores that are not too expensive. At the very least, you can get it from just around 3,500IDR. But, this price also depends on the design. There are models of ordinary knitting, rocks, and others. 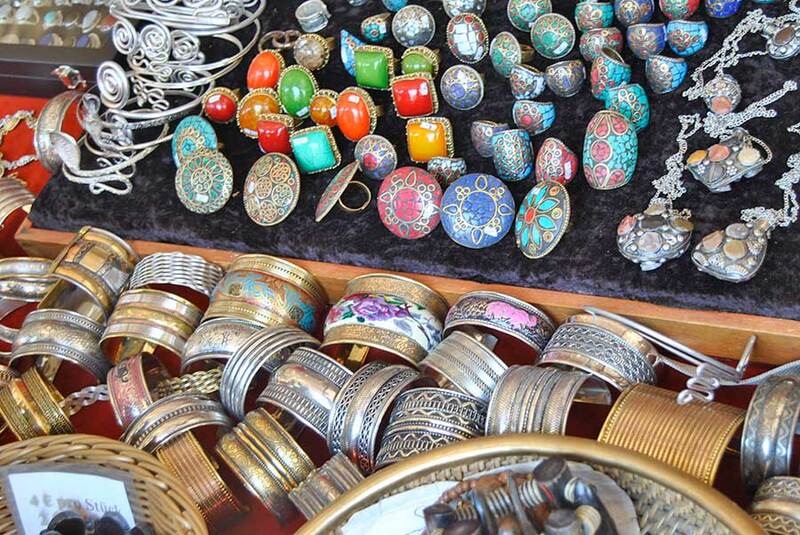 Celuk area is famous for its silver handicrafts. Foreign tourists also flock to see first hand how to make jewelry, as well as buy it as a souvenir when returning to their country. There are many shopping destinations for silver jewelry, such as Dewi Sri and Anom Stores which are very well known among foreign tourists. Don’t forget, before buying, make sure you ask how much the price is. 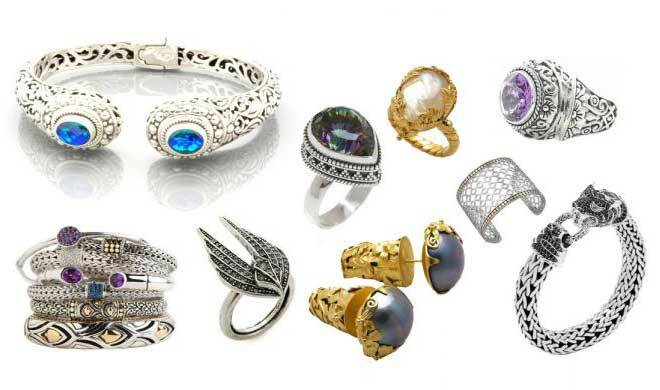 Each type of jewelry is sold at different prices such as rings, bracelets and necklaces. You can reward this for a mother, sister, friend or girlfriend. Bali is famous as one of the best places to enjoy a spa, especially in the Seminyak area. 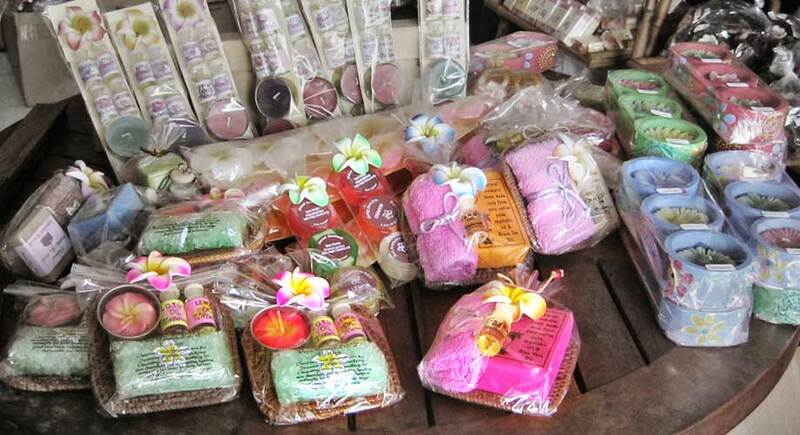 And of course various kinds of spa products such as body scrubs, lotions, and fragrances will remind the ‘recipient of souvenirs’ with memories of their previous holiday in Bali. One of the most popular brands is Bali Ratih and Herborist. Ratih Bali prices are relatively slightly higher than Herboists. As the center of the best arts in Indonesia, of course Bali is very famous for its paintings. There are realist-style paintings such as pictures of paddy fields, as well as abstract-style paintings available in most souvenir centers. 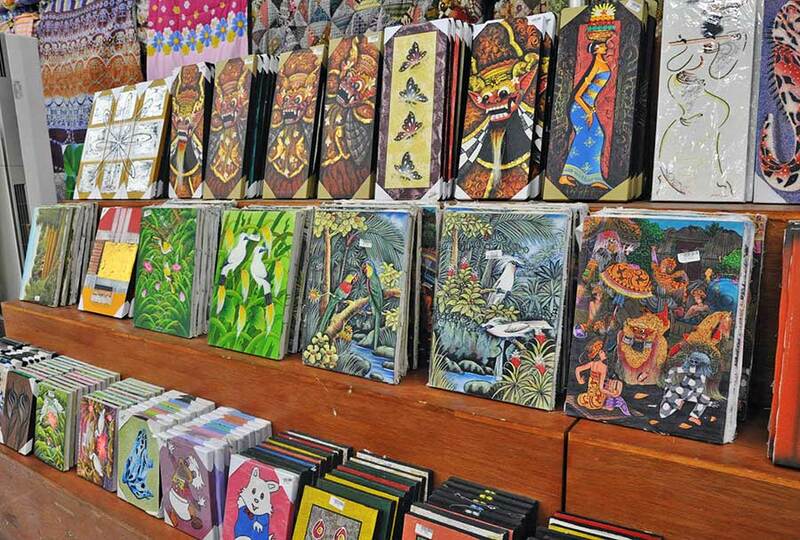 Prices of paintings in the center of souvenirs are usually not too expensive, around 200,00 – 300,000 IDR. Why can it be cheap? Because painting this model is usually made in mass produce. But if you go to the Ubud area, you can find many Art Gallery that sell very good and unique paintings. The price is not cheap guys, it can reach tens or even hundreds of millions IDR! Like silver, wooden arts crafts are also centered in the Gianyar region even though the products can also be easily found in urban shops. 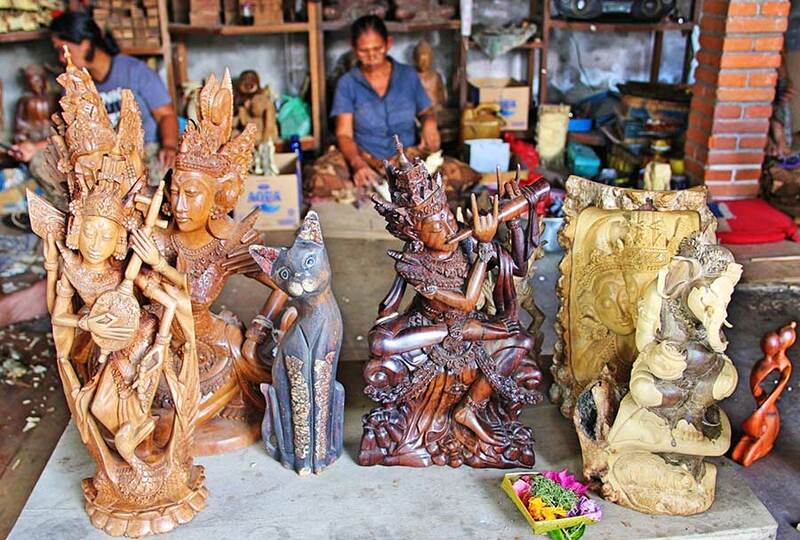 These carved wooden crafts are very diverse in shape with varying sizes. However, make sure you have enough space in your suitcase or bag to carry these souvenirs. As a suggestion, if you want to get a cheap price, don’t look for it in a modern shop. You can search at roadside kiosks with bargaining skills. Balinese kites can be the right souvenir for children. In addition to its diverse shapes, the colors and patterns are also very attractive. One of the most famous is a kite shaped like a ship and an eagle. 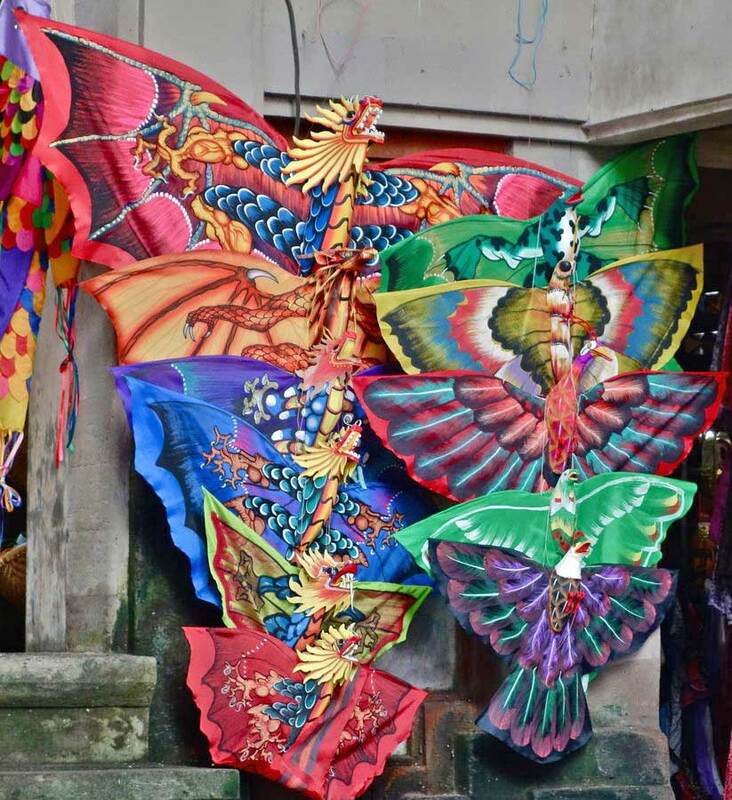 You can easily get this Balinese kite in the center of souvenirs as well as in shops along the tourist attractions. The price tag will vary according to its size. 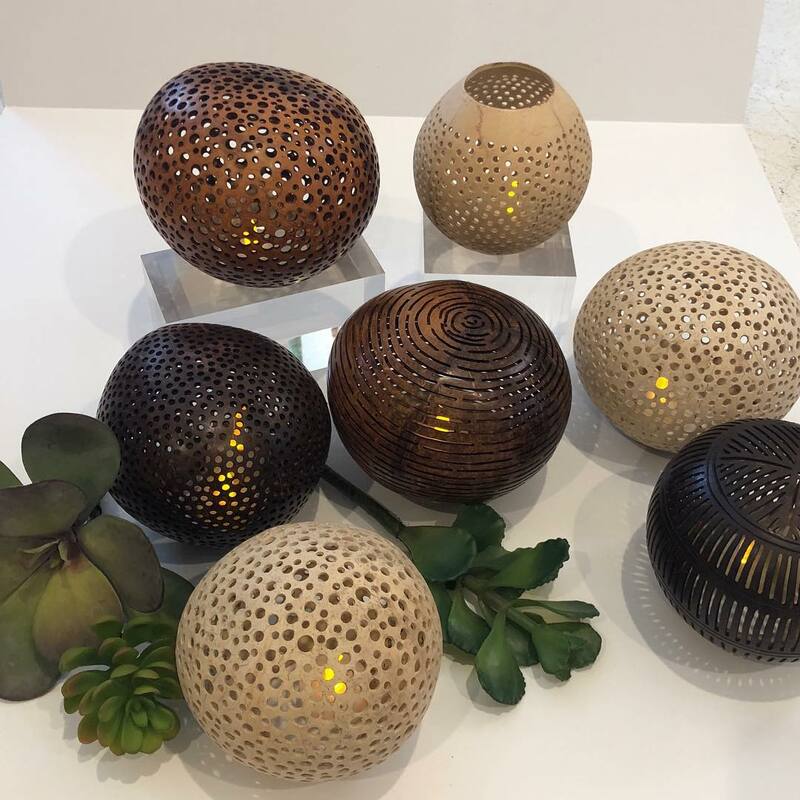 Coconut shell can be transformed into a beautiful and attractive art. A variety of unique products can be made according to the needs of coconut shells. Usually used for nameplate, there are lamp shades, piggy banks, tissue boxes, wallets, masks, various accessories, bags and interior decorations. The size is also varied and good for souvenirs. This coconut shell craft can be easily found in almost all art shops and souvenir shops in tourist destinations throughout Bali. That was some Balinese souvenirs that you can bring home. Besides being in the form of goods, there are also souvenirs in the form of Balinese snacks that you must try.